In this context the idea has been growing to start a poultry farm in our region. 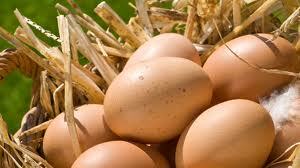 Merchandisers, health centres, market vendors,… all need eggs. Budget: 500.000 RwFr + 170.000 RwFr (veterinary medication) = +/- 780 euro. I am happy to send you this report which shows how my chicks and hens project is progressing since last November up to now. The chicks have grown up and 25 hens are laying eggs. The table above shows that so far I’ve collected 556 eggs. The market price for 1 egg is 60 RwFr. So I gained 33.360 RwFr so far. I don’t need any financial means for my hens since my capital is enough. The chicken farm was built in December 2013 and beginning of December 25 hens and 50 chicks were purchased. The farm is running fine and egg production goes smooth since January 24th. 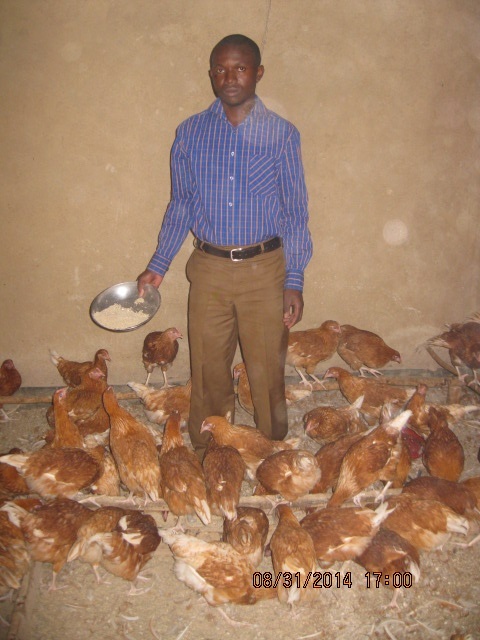 The provided budget is fully spent on the construction works and purchase of the hens. Food and medications are purchased from the selling of eggs and fertilizers. The overall financial benefit so far is around 30.000 RwFr per month. Because of a shortage on cash I decided to sell the chickens. With the profit of selling the chickens, eggs and the most I bought high-quality chickens from Belgium. With these chickens a higher productivity is guaranteed. 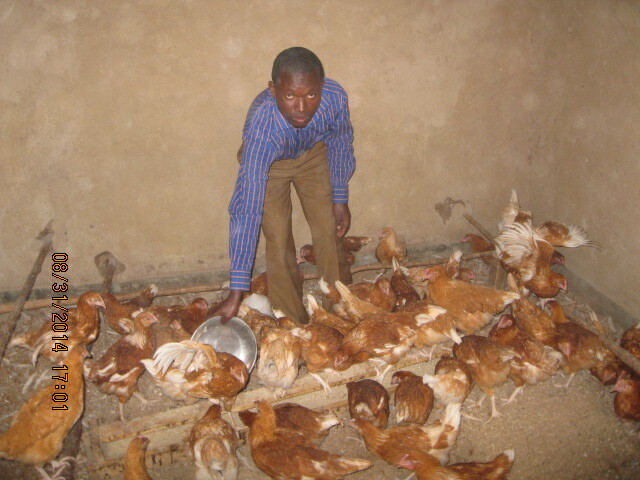 The chickens were born in Belgium on Mey 5th 2014 and arrived by plane at Kanombe (Kigali) on May 29th. Seen the need of an extra vaccination I brought them to an official breeder, which gave me an insurance of 1 month. PS: The breeder is only doing the vaccinations when the amount of animals has a minimum size. The cost per chick was 2.850 RwFr so my overall expense was 285.000 RwFr. 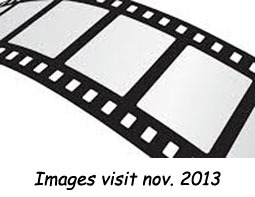 I would like to have sufficient financial means to make my project profitable. The support of the beneficiaries doesn’t solve all problems as the profit is not enough. You could help us further by increasing the financial support so the beneficiaries would get a part of the profit. On December 5th the board of Vleugels van Hoop vzw has visited the project in Kizibere, Rwanda. The 100 healthy, strong chickens are producing about 75 eggs every day. This is the proof of the success of the projects which gives the beneficiaries a good yield. The funds were fully consumed.